 The SeroFIA™ Chlamydia product line consists of IgG, IgM and IgA specific immunofluorescent assays (MIF) for the determination of antibodies to Chlamydia pneumoniae, Chlamydia trachomatis and Chlamydia psittaci in human serum. 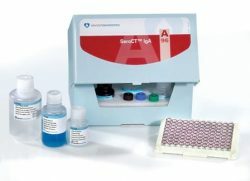 The user-friendly SeroFIA™ Chlamydia slides contain, for each of the three Chlamydia species, one row of seven antigen-coated wells which makes species identification convenient and rapid. 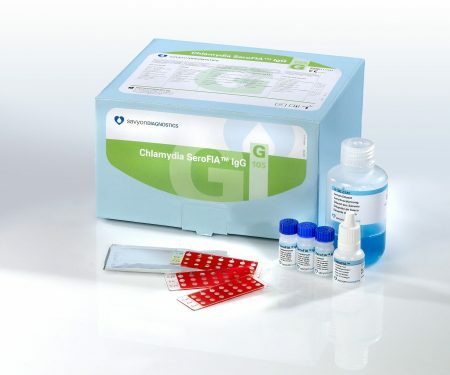 SeroFIA™ Chlamydia kits contain 15 slides, each with 7 wells per specie. 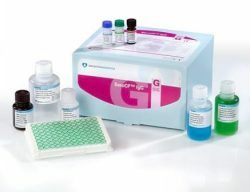 The SeroFIA™ slides can be custom made and contain antigens for one chlamydia specie only.